They should be enemies, but he won’t let them. And what a Storm Lord wants, a Storm Lord gets. Light and Dark have always been enemies. The Earth Lord, Cadmus Storm, knows this all too well. He’s lost his father and friends to the Darkness invading his homeworld. Now stuck in Seattle, of all places, he’s itching to return to Tanselm. He thought he’d found solace in the arms of Ellie Markham. The tall, scheming blonde managed him with ease, then turned his world upside down when he learned she was his enemy. He left her behind, but when circumstances force him to return to her once more, he finds she’s not the hardhearted Djinn he assumed, but a caring, loving woman he hurt with harsh words. He’ll have to work hard to win her back, and even harder to avoid an insidious enemy bent on ending everything Light—and Dark—Cadmus loves. When danger again comes calling, he and Ellie will have to stay rooted to each other, and to the truth—that love has no boundaries. The muted glow of everdark hovered over the deep blue grasses of Foreia’s rich fields. The black bark and flaming red leaves of giant firn trees framed the surrounding area, the scent of sweet scythia flowing through the warm air like a blessing of welcome. Jonas Chase, leader of the rebel Djinn army, grinned with pleasure. Lavender clouds covered the pink-red sky, a sight that never failed to impress him, and made him want to bask in his homecoming. A muffled curse and angry words, unfortunately, drew his attention. 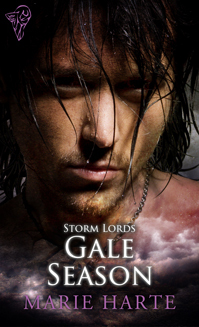 Jonas stared at his responsibility, Prince Cadmus Storm, the Earth Lord, and uttered a loud, drawn-out sigh. Surrounded by a dozen Djinn warriors and the Dark Lord who’d promised them freedom, Cadmus nevertheless made an impressive sight as he commanded Foreia’s terrain to aid him against his imagined enemy. Why couldn’t the damned Light Bringer do anything the easy way? Golden soil erupted, crushing navy grass into muddied chaos. Quakes of rock shifted, and the air reverberated with the threat of Storm Lord vengeance. 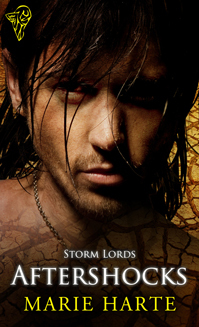 Of the remaining Storm Lords, the Royal Four—more commonly referred to as The Tetrarch—promised a life Jonas’ people had been dreaming about for centuries. The princes didn’t know it yet, but once one of the Royal Four became overking of Tanselm, life in their rich, magical world would change, and for the better. Tanselm, a realm of infinite power and splendour. In addition to the fruitful fields, pastures of green and forests of rich trees and earth, Tanselm housed a sentient majesty, an overwhelming centre of magic that called to Light and Dark beings with equal intensity. The few times Jonas had been privileged enough to ‘visit’, i.e. spy, he’d felt vastly more powerful standing in that magical plane of existence, even more so than in his homeworld of Foreia. Surprised at Tanselm’s acceptance of him, a Darkling, he’d begun to recognise his Dark Mistress’ words as truth—that Tanselm existed to accommodate more than just Light Bringers. Which wasn’t to say the future Tetrarch wasn’t needed to destroy the evil ‘Sin Garu and his hated minions, the Netharat. Those vile wraiths, ice demons and monsters would happily feast on creatures of Dark and Light, if only to perpetuate the chaos that salved their undying hunger. The Dark only knew how many overlapping worlds in existence would fall should ‘Sin Garu take Tanselm. Such pure magic in evil hands would destroy Foreia, Aelle, Earth, and so many other worlds not able to withstand such power. No, despite the differences between the Djinn and the Storm Lords, Jonas knew they shared a common purpose—to live and prosper without Dark Lord oppression. Studying Cadmus, Jonas shook his head. Four identical princes with the power to command the elements. 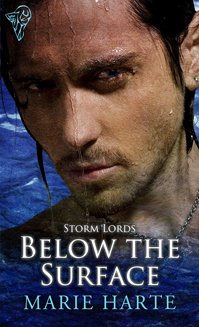 Light Bringers and Storm Lords all, yet each brother was decidedly different. 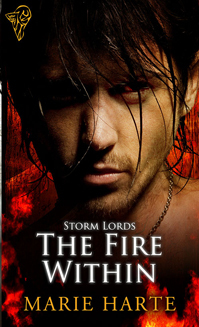 Darius, the Prince of Fire, had a temper and little patience. Marcus, the River Prince, possessed an annoying tendency towards arrogance, but thankfully his affai, his new bride, was wearing him down. Aerolus, the Wind Mage, controlled the winds as easily as he ruled magic, a young sorcerer with the potential of his legendary uncle, Arim, Tanselm’s notorious Killer of Shadow. And Cadmus. Jonas still wondered at the one called the Earth Lord, a brown-eyed royal who could charm the scales off a dragon. Keeping an eye on Marcus had been tedious but easy in comparison. Cadmus, on the other hand, protested the measures to keep him safe at every turn. While Jonas could feel for the independent royal, he found Cadmus’ quirky sense of humour and annoyingly clever escape attempts vexing, not to mention exhausting. 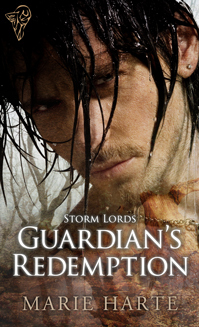 He watched Cadmus take on more than he knew he could handle and had to hand it to the Storm Lords. They had been born to royalty, but their parents had not raised whiny and weak monarchs. These men, especially Cadmus, possessed strength and stubbornness in spades. From what Jonas’ cousin had affirmed, Cadmus’ reputation as a charmer and ladies’ man had been well-earned. Light-hearted but kind, he had seemed to be the easiest of the four brothers to turn. Staring at him now as he tried to bury half a dozen Djinn under Foreia’s life-giving earth, Jonas found it hard to reconcile the easy-going Cadmus with the Light Bringer warrior before him. A large tree groaned as it shuddered under a massive force, its roots reaching through the ground for the Dark Mistress’ legs. She glided as if on air, stopping a few feet from Cadmus. Jonas could feel the tension filling the space between them with chaotic power. Tendrils of negative energy snarled at him, and he flashed into the natural form of the Djinn, in truth, unable to help himself. He didn’t even try to fight it, knowing he was much more powerful in his energetic state. His physical form blurred, keeping a man’s outline while consisting not of flesh, but of white, blazing energy surrounded by a black aura that danced like flame. He was Djinn. He was powerful. And he had been born to return his people to their homeworld–to Tanselm, where they rightfully belonged.